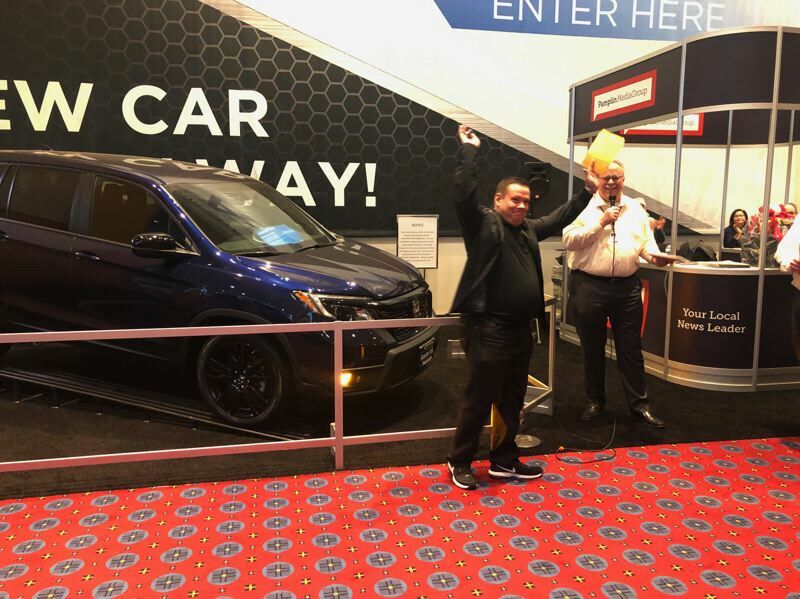 As one of four finalists to win an all-new Honda Passport SUV at the Portland International Auto Show, Tigard resident Stuart Clough, along with the three other contestants, had to test a key fob Sunday afternoon to see which one would unlock the vehicle. The other three finalists — Ken Evans of Sandy, Gina Bartucca-VanDyken of Vancouver and Randy Carlton of Hillsboro — tested their keys, and the car didn't respond. Clough then pushed his button, the vehicle lighted up, and he raised his arms in celebration. After completing some paperwork, Clough will drive away soon with the 2019 Passport, which comes courtesy of the Northwest Honda Dealers Association. The Passport is an all-new vehicle for 2019, featuring the latest technology, such as adaptive cruise control, lane-keeping assistance, automatic emergency braking and forward collision warning. Clough's name and the names of the other three finalists were drawn at random from the thousands of people who entered the giveaway contest during the auto show's four-day run at the Oregon Convention Center. The Portland International Auto Show is produced by the Metro Portland New Car Dealers Association and the presenting sponsor is the Pamplin Media Group.